I took the car in for some work. 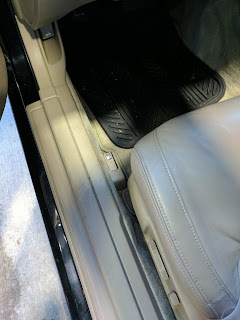 The place where I take it gives you a loaner if you need one, and the loaner I ended up with had a lever to open the gas tank. Since I've never had a car with that before it took me awhile to find it. On the floor isn't where I would have guessed it would be. I kind of assumed it would be up by the instrument panel.